Do you ever remember seeing an RFP that didn’t list Times New Roman as the required font for your response? Neither do we. In fact, since its creation in 1931 for the London-based The Times newspaper, Times New Roman has gone on to become the world’s most recognized typeface. Even non-type junkies can reliably name it, a fact that probably has a lot to do with its status as Microsoft Office’s default font. Despite 75 years of loyalty, The Times dropped Times New Roman in 2006 in favor of its more modern cousin, Times Modern. We're thinking this leaves the U.S. government and contracting community as perhaps the largest users of the old typeface. 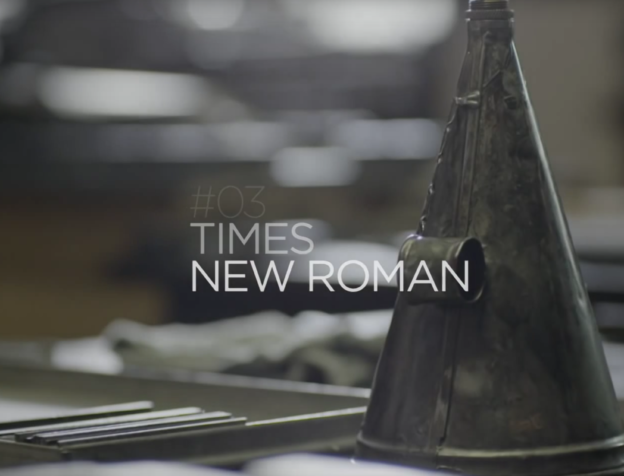 Could we be seeing the last days of Times New Roman? Below, a short from The Unquiet Film Series, produced by The Times and Grey London, looks at the “King of Fonts” and surveys how contemporary designers feel about it. This entry was posted in Blogazine on January 29, 2018 by Cherisse Lu.